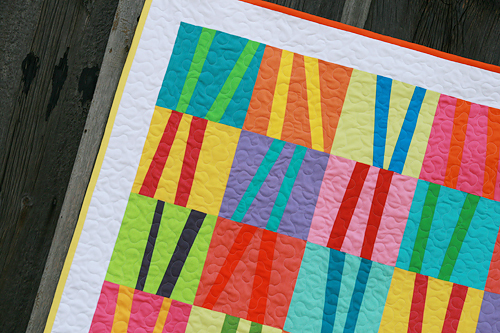 These quilt blocks were made by placing fabric strips improvisationally through square blocks. 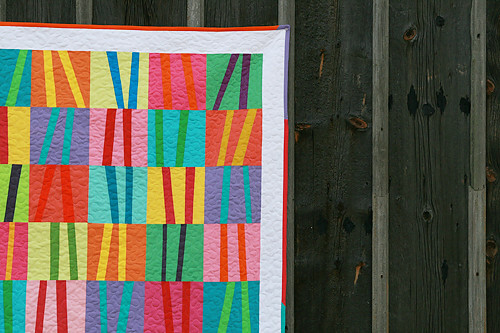 I used all solids - a combination of Kaffe Fassett Shot Cottons, Moda Cross Weaves, Art Gallery Pure Elements, FreeSpirit Designer Solids, and Robert Kaufman Kona Cotton Solids. The blocks measure 9" x 9" unfinished. My blocks alternate warm/cool/warm/cool... colors. 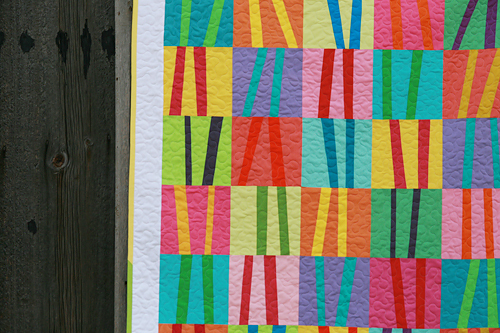 I decided on a scrappy binding and quilted this in a free motion meandering design. I am really happy with the finished product and it will probably now live in my daughter's room. 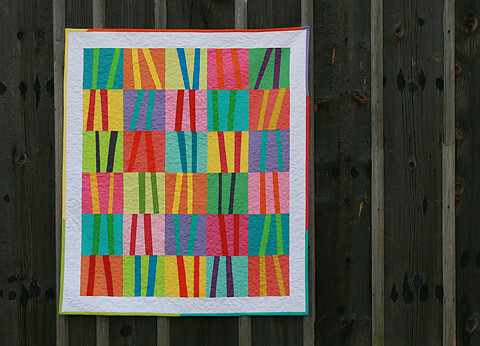 So, I'm sure I don't need to say this, but just because I like to keep my blog a positive place, please let's focus on the quilt in the comments and not negative or disparaging comments surrounding the now defunct magazine. I know for those involved, emotions are high. Thanks everyone! Updated: Wow, I am really overwhelmed by all the emails and comments from you guys offering to send me a copy of the magazine! I am actually practically speechless over it, this is just the best community. Another Update (early July): Thanks so much to one of my readers who let me know she found the magazine at Barnes & Noble. I just found and bought a copy there! So if you are interested in making this pattern, check your bookstore for the magazine.